Intergate, in conjunction with our travel visa partner, offers a bespoke Israeli visa service that provides advice, compilation of the application, submission and return. 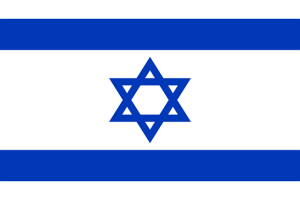 What is an Israeli visa? An Israeli visa is a permission, in the form of a stamp, that allows tourist and business people to enter and stay in Israel. This stamp is called a visa. Asia: Japan, Georgia, Mongolia, Philippines, Republic of Korea, Singapore, Taiwan. The Americas: Argentina, Barbados, Belize, Brazil, Canada, Chile, Colombia, Costa Rica, Dominica, El Salvador, Ecuador, Grenada, Guatemala, Haiti, Honduras, Jamaica, Mexico, Panama, Paraguay, Peru, St. Kitts & Nevis, St. Lucia, St. Vincent, Suriname, The Grenadines, Trinidad & Tobago, The Bahamas, The Dominican Republic, Uruguay, U.S.A.
For what purposes can I obtain an Israeli Visa? Tourist visa – The tourist visa is for the purposes of leisure travel. If your visit to Israel is for a duel purpose and contains any element of business or official duties a business visa must be applied for. Business visa – This visa is necessary if you intend to conduct business or commercial activities. The business visa does not allow you to receive any remuneration in Israel. An Israeli Visa is applied for at the Embassy or Consulate of Israel or visa application centre. Please note that applications for an Israeli Visa must be made prior to travelling. Do I have to go in person to submit my Israel visa application? Intergate, in conjunction with SATravelbug, can arrange the submission of your visa application on your behalf. Please note this is may alter as more and more embassies are require the visa applicant to submit in person. Intergate, in conjunction with SATravelbug, can pick your visa application on your behalf. Please note this is may alter as more and more embassies are require the visa applicant to submit in person. In general a visa application takes about 2 – 4 weeks but it should be remembered that timing and acceptance or rejection is at the discretion of the Israel consulate or embassy. It is always good advice to apply well in advance.